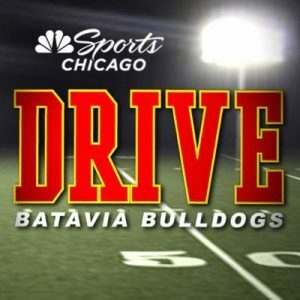 Batavia Bulldog Football Team Coming to NBC Sports Chicago's DRIVE! NBC Sports Chicago is ready to bring viewers an action-packed season of local preps sports coverage, including a “DRIVE” series featuring the Batavia Bulldog Football Team. Every weekly episode of “DRIVE” will contain behind-the-scenes footage of the Bulldogs and will be made available for viewing on NBCSportsChicago.com immediately following “High School Lites,” a television show that highlights the area’s biggest prep matchups. “High School Lites” starts at 11 p.m. on Friday nights. This fall, the Bulldogs will be playing in the new, competitive DuKane conference and will play in the 100th rendition of the Batavia Bulldogs vs. Geneva Vikings rivalry game in Bulldog Stadium on Fri., Sept. 28. The varsity team is also seeking a third state championship in the last six years. No pressure! Social media fans can follow @NBCSDrive for the latest Batavia scores, highlights, players, and coaches interviews, and analysis, and utilize the hashtag #DriveBatavia. In addition, @NBCSPreps will provide the latest statewide updates throughout the scholastic year, which will include Power Rankings, scores, analysis, and viewer/reader Twitter photos from game day.